An extremely powerful testosterone supporting agent designed to promote a healthy balance between testosterone and estrogen levels. A-HD ELITE™ is an extremely powerful testosterone supporting agent designed to promote testosterone levels and muscularity. 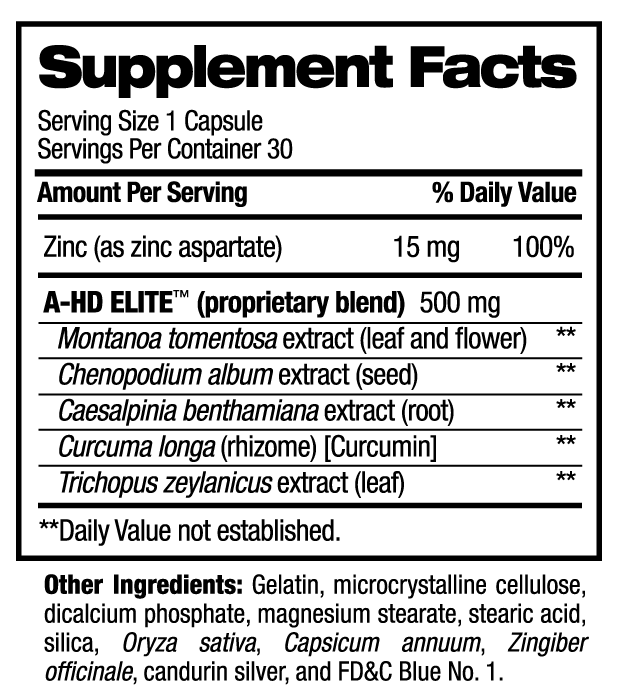 The unique ingredient profile of A-HD ELITE™ is backed by research and is designed to support a healthy anabolic state. STRENGTH BUILDING - Enhances testosterone levels to assist in increasing strength and muscle mass. MUSCLE BUILDING - Supports a healthy anabolic state for optimal growth and maintenance. PERFORMANCE - Increased stamina and heightened overall athletic performance. WEIGHT LOSS - Minimizes estrogen levels for a more shredded, harder, drier looking physique.